In the Journal of Experimental Social Psychology, Hajo Adam and Adam Galinsky published an article titled “Enclothed Cognition.” In it, they described experiments that suggest that the clothes we wear have an effect on our psychological processes. 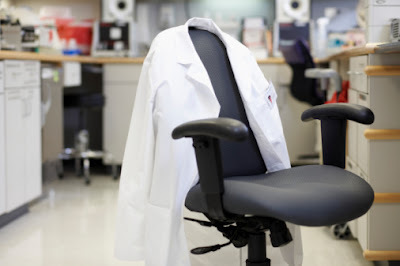 …the researchers think enclothed cognition effects will depend on two conditions – first, the symbolic meaning of the clothing and second, the actual wearing of the clothes. My first full-time job was with IBM. This was in the days when IBM had a dress code specifying that men should wear white shirts, ties, conservative suits, and plain dark dress shoes. 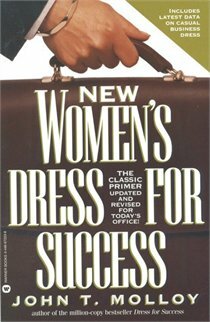 It was an era when books like “Dress for Success” were in vogue. Although we are far from returning to the IBM-style dress code, it is my observation that many people have pulled back from dressing very casually at work. Economics may have something to do with this; in tougher times people might be less casual about a lot of things work related, including how they dress. But given the findings described above, perhaps not only do others perceive us differently depending on what we wear to work, but we think and act differently depending on what we wear. Perhaps if what is needed is a more polished and professional mindset a more polished and professional set of garb might subconsciously tweak a person’s mindset in that direction. This is not to imply that “packaging” and appearance should or does trump substance, but on the other hand if what er wear affects not only how others perceive us but also how we perceive ourselves, then we ignore this possibility at our own peril. …promote the economic independence of disadvantaged women by providing professional attire, a network of support and the career development tools to help women thrive in work and in life. Founded in New York City in 1997, Dress for Success is an international not-for-profit organization offering services designed to help our clients find jobs and remain employed. Each Dress for Success client receives one suit when she has a job interview and can return for a second suit or separates when she finds work. Dress for Success serves clients by referral only, and women must have an interview scheduled before receiving clothing. Our clients come to us from a continually expanding and diverse group of non-profit and government agencies including homeless shelters, immigration services, job training programs, educational institutions and domestic violence shelters, among many other organizations. More than 3,000 organizations throughout the world send women to Dress for Success for professional apparel and career development services.